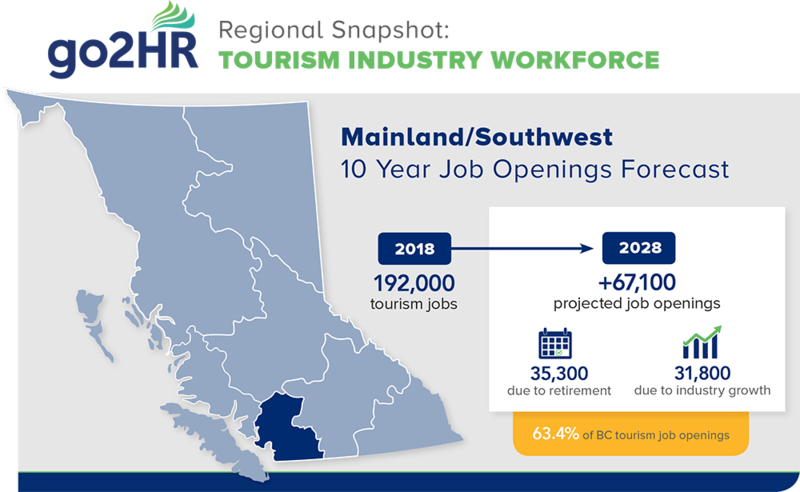 The Mainland South West region has a workforce that is younger than other areas of the province, and with a declining youth population, there will not be enough supply to meet the demand. By 2028, it is anticipated that the region will have 67,100 job openings. The food & beverage, recreation & entertainment, and transportation sectors will be the hardest hit.